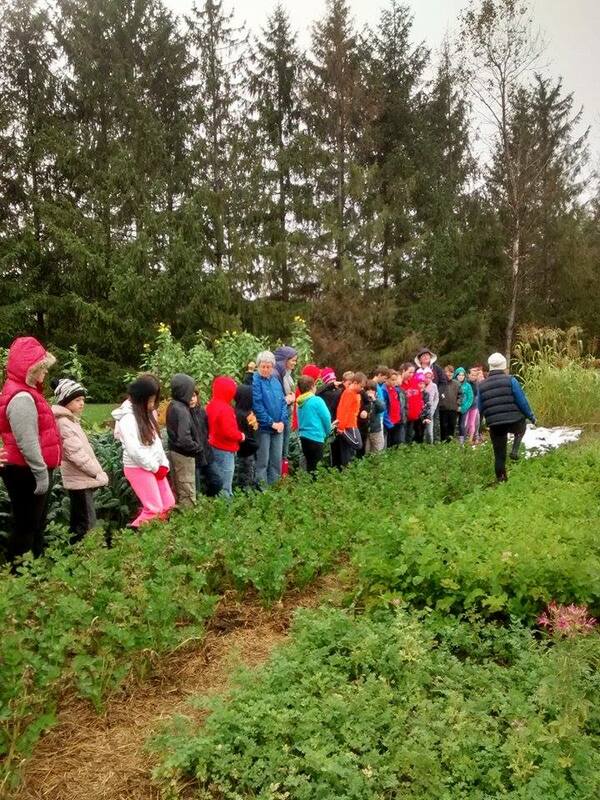 Yesterday we hosted our first garden visit of the school year. We were thrilled to welcome Ms. Cazzola's 5th grade class from St. John Catholic School. Though there was a little bit of a drizzle it didn't dampen the student's spirits and we had a wonderful day in the garden. 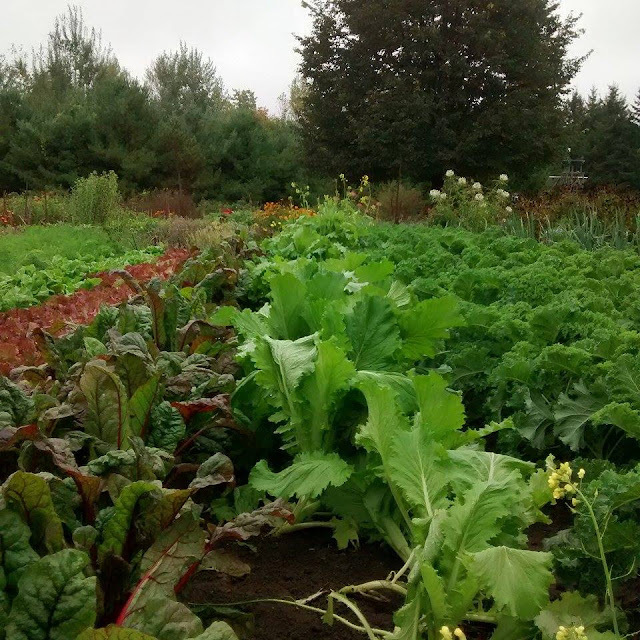 The day started with a tour of the garden led by Danie who is currently studying Organic Agriculture at UofG. 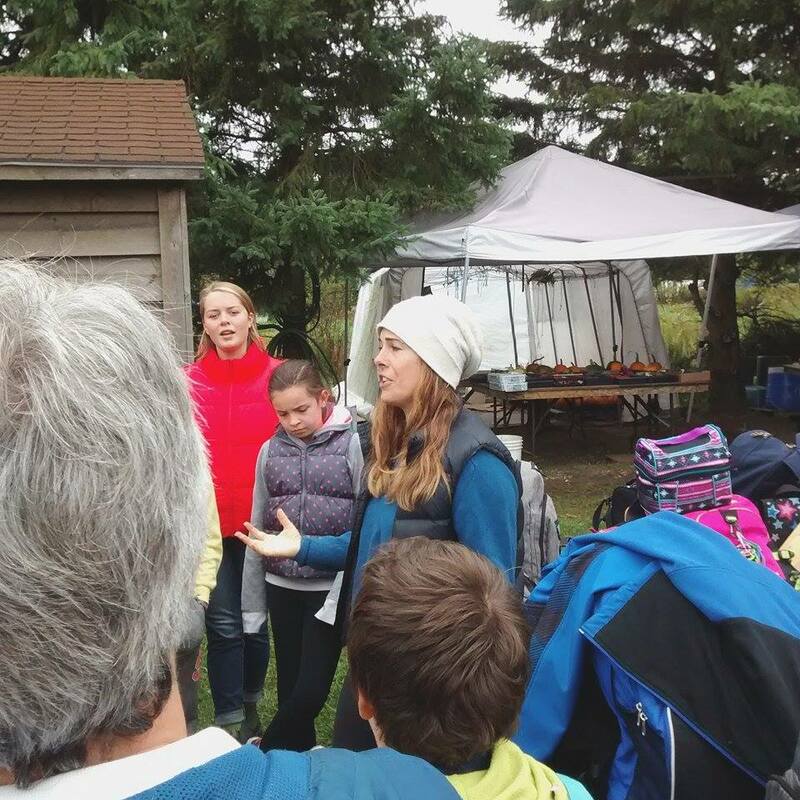 Danie was very informative and showed us many plants the students had never seen before. As we passed the Kale plants Danie picked some and each student had the opportunity to taste it. We then made our way to the back fields of the farm. Danie explained that because this field was farther away and not visited as often deer like to come into the field and eat the plants. We learned that deer are afraid of shiny objects which is why there is a string of dangling tin foil around the field. There was also a giant scarecrow! As we made our way back to the farm entrance, we stopped to pick some fresh raspberries which the students got to immediately eat. They were delicious! After our lunch break Chef Steven led the class in making Honey and Fresh Herb Vinaigrette. We split into three groups and each group harvested some fresh herbs. We harvested thyme, mint and parsley. Stephen used the fresh herbs and made a big batch of the dressing which we served to the students with organic veggies. Each student then had the opportunity to make their own dressing in a mason jar. They added all the ingredients and each got to choose which herbs to use. Then they got to shake them up! The students also had a chance to eat some edible flowers! We finished the day with a group photo and a discussion period. The class agreed that a lot of work goes into organic farming and that it is important to appreciate where food comes from!